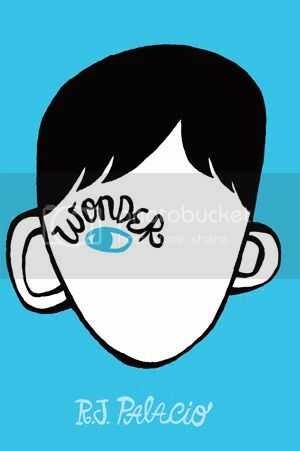 Wonder by R. J. Palacio (review copy) - WONDER is the funny, sweet and incredibly moving story of Auggie Pullman. Born with a terrible facial abnormality, this shy, bright ten-year-old has been home-schooled by his parents for his whole life, in an attempt to protect him from the stares and cruelty of the outside world. Now, for the first time, Auggie is being sent to a real school - and he's dreading it. The thing is, Auggie's just an ordinary kid, with an extraordinary face. But can he convince his new classmates that he's just like them, underneath it all? There has been a lot of buzz surrounding Wonder, especially lately as it was RHCP's book for Internation Book Giving Day. I thought it was about time I read it after having had it a while, expecting to completely fall in love with this story. However, although it was a really sweet story, I felt like I was missing something. Auggie has mandibulofacial dysostosis, a genetic condition that severely affects the face. In every other way, he's a normal boy, but people look and stare whenever he leaves the house. For his protection, his parents have home-schooled him, but now he's ten, they've decided the best thing for him is to go to a proper school. Narrated by him, his sister and his friends, we see his experiences, and the reactions of others; people being freaked out by his appearance, outright bullying, and people deciding that how he looks simply doesn't matter. Wonder is the story of Auggie's year at school. Wonder is a moving story, and seeing Auggie overcome his fears and start school, despite knowing how hard it's going to be is just so cool. He is such a strong little boy, and goes through so much hassle simply because of how he looks. Some of the things said and how he's sometimes treated are just heartbreaking. The adult edition of the book has Auggie wearing an astronauts helmet on the cover, and I always wondered why - because, for two years, Auggie would not leave the house without wearing it, because he couldn't stand the stares. It's so sad. It's also sad to read the parts narrated by his sister Via and his friend Jack. As Auggie's friend, Jack is a victim of bullying too, separately from Auggie, which is just awful. And yet, Jack is such a good guy, mostly. It would be so easy to stop it all, just by not hanging out with him anymore, but he sticks by his mate. Via loves her brother, but recently, she has been feeling a little resentful. She's just started high school, and has kept her brother's condition mostly to herself. She doesn't want to be the girl who's brother is deformed. She just wants to be Via. She no longer wants to be known for her brother, but for herself. And because her brother has needed a lot of special care, in and out of hospital, her parents focus a lot more on Auggie. Via has always accepted that this is the way things are, but now she's reached a point where it bothers her, and she would like some attention herself. She really does love Auggie, but now she's letting how she really feels come to the surface, and it's really sad. However, as sweet as the book was, I didn't love it. I almost felt like I was reading a different book from everyone else. Yes, I enjoyed it, I liked it, but I wasn't wowed by it like everyone else seems to be. Yeah, it was good, the ending was really great, and I'm sure it will be one of those really memorable books for me, but it didn't do all that much for me. I'm not completely heartless, I felt for Auggie, but to me it felt like there was something missing. There was so much potential for this to be an incredibly moving, beautiful story, but it didn't quite get there for me. It's a real unique story, I've not read anything like it before, but sadly, it did fall a little flat for me. There are a lot of people who have really loved Wonder though, so don't pass it by because of this review. It is worth a read, I did like it. It's just one of those cases where the hype made me expect a whole lot more. You might love it, though. Do give it a go. I don't think it would be unsuitable. I don't know how old your son is, or what you consider unsuitable, but I don't think it's that bad. It's not overly harrowing or anything, just sad.